Multi-County Information and Programming Services located in Lincoln Nebraska since 1991. 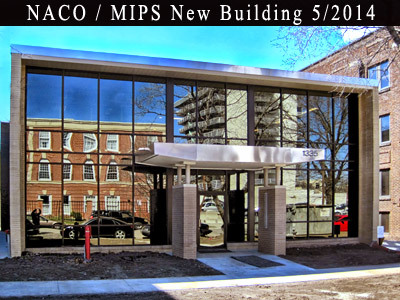 MIPS Inc., located on 1335 H Street in Lincoln, was created to provide Nebraska counties with custom written software, hardware (PC/AS400), product support, networking, and consulting services. MIPS Inc. offers to counties a full range of IBM AS400 and PC-based software packages. Included within its product line, MIPS offers such programs as court document management, Road Department software, Register of Deeds management, Register of Deeds Documents Online (www.nebraskadeedsonline.us), Natural Resource District Irrigation Billing System, vendor payment, accounting, budgetary, payroll, property valuation assessment, computer aided mass appraisal (CAMA), tax billing, revenue collection, tax distribution, and online property tax collection using both credit cards and e-checks (www.nebraskataxesonline.us). With one of our partnerships, counties also have access to GIS applications and services. Seeing the need for microfilming across the state, MIPS Inc. purchased Fountaine Microfilming back in February of 2007. This purchase gave MIPS the ability to offer a multitude of microfilming services. The Nebraska Association of County Officials (www.nacone.org) began offering automation services in 1991 when it purchased DataMasters of Kearney. Renamed Multi-County Information and Programming Services, or MIPS, this technology division of NACO supports counties using the IBM AS400 and Windows platforms. Almost every county in Nebraska utilize one or more of MIPS’ services.